Introducing Vita Student Cardiff, a purpose-built student development located in the city centre of Cardiff. Vita Student Cardiff is set to bring 401 contemporary student studios to the highly demanded student sector in the city centre. 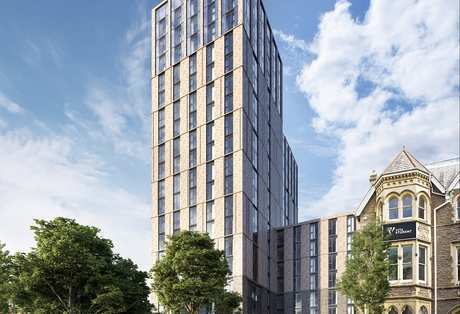 Cardiff is currently facing an undersupply in student accommodation, with a staggering 25,000 students looking for purpose-built student accommodation within the city centre. Students are currently being forced to live further away from Cardiff University, having to commute daily. If you would like more information on Vita Student Cardiff, please email enquiries@hopwoodhouse.com or call 0161 464 3913 to speak to a sales consultant.